There were nearly 7,000 bicycle accidents in Florida in 2016. Most of them are caused by drivers who were distracted while talking or texting, eating or drinking, or just not paying attention to the road. 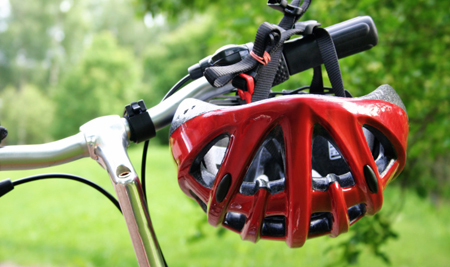 Bicycle accidents often lead to serious or permanent injury, paralysis, and even death. Injured bicyclists sustain a wide range of injuries, including concussions and other head injuries, fractured arms and legs, and spinal cord injuries. An injured bicyclist may need weeks of hospital care, home care, rehabilitation, and other medical treatments. In addition, he or she may have to miss weeks of work while recovering. If you are injured in a bike accident, remember that when it comes to your rights, the law is the same as it is for a car accident. If you’re hurt in an accident, you must see a doctor within 14 days to protect those rights. And you should see an experienced attorney as soon as possible. Zweben Law Group will help you claim the costs of all of your medical bills — past and future – as well as the wages you lost and any other costs related to the accident. We will also help you recover damages for intangible losses like a permanent disability and your pain and suffering. Stay safe on your bike. But if you are injured in an accident call us to help. We will be there for you.